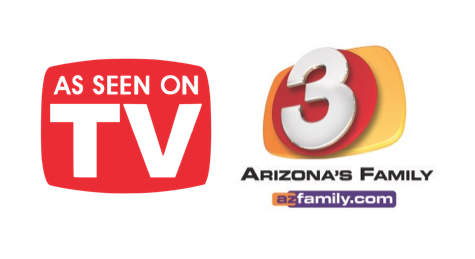 MILDEW and MOLD – Aired “live” on 3TV/Phoenix (Good Morning Arizona) Monday, July 23, 2018 (8:40am) – Watch the VIDEO from the live broadcast (located below). First, what is mildew? It is a fungus that grows and flourishes in warm, humid, dark conditions, like the shower, the basement, etc. The best way to avoid mildew is to be sure that things are totally dry before you put them away. Remember, invisible spores of mildew can quickly grow to huge proportions especially on natural materials such as cotton, wool, leather, paper, wood etc. To keep mildew from forming on clothes, do not crowd them into closets, this will allow air to circulate between them. Store clothing only after it has been cleaned and dried thoroughly. If you are storing things such as leather purses, belts, shoes, even suitcases, clean them well and then sit them in the sun for an hour or so. Do not store things in plastic, this caters to damp conditions. If you smell a damp or musty smell coming from a closet, suspect mildew immediately and act quickly to dry it out. Even allowing a fan to blow in the closet overnight can make a huge difference by drying and circulating the air. Moistening white or colorfast clothes with lemon juice, sprinkling them with salt and laying the garment in the sun may also remove mildew. If in doubt, test this method first. Remember, ODORZOUT is an awesome deodorizer for any smell and it is safe, natural and used dry. Go to odorzout.com for more information. One teaspoon added to your wash, sprinkled on the clothes, will assist in deodorizing them. This works great in bathrooms. First, use adequate ventilation. Open a window or turn on a fan if you can. This tip uses a product called Cotton Coil. This is used in hair salons to protect your skin from bleaches and dyes. It is basically a long roll of 100% cotton. Buy Cotton Coil inexpensively at beauty supply stores and Amazon. If you don’t have or want to buy cotton coil, you can use strips of paper towels or something similar. The beauty of the cotton coil is that it remains wet for longer so it works longer and better. You can also use it as you would a cotton ball. Soak that cotton coil in bleach, and it lay it across the moldy caulk. It needs to sit overnight. Don’t drip the bleach on other surfaces and remove towels etc. from the area. Bleach fumes will remove color. When you remove the bleach soaked cotton, the mold should be gone. It will be slower to return too. Rinse the area down once you remove the cotton and you are done. TEA TREE OIL is a natural antibacterial and antimicrobial. Although it is fairly expensive you use only a small amount of it. Look for it at Amazon rather than health stores to save money. Be sure you buy PURE Tea Tree Oil, not combined with anything else. Tea Tree Oil has a strong smell, which I love. If you don’t like it add some lavender or eucalyptus essential oil to the formulas. Both work well in combination with the Tea Tree Oil. Don’t store anything made with essential oil in the sun, it will oxidize in the sunlight. This NATURAL TEA TREE OIL MOLD REMOVER is wonderful for the shower or tub where mold collects. Spray on the mold or mildew area. Let sit 15 minutes then wipe. If stain persists, re-spray and rub with a nail brush or put a few drops undiluted Tea Tree Oil on the mold and wait 30 minutes then brush and rinse. Find this at natural stores, drug stores and Amazon.com. It must be 100% pure to work. If you forget your clothes in the washer, you know that they can smell like mildew. Re-rinse the clothes and add 10 drops of Tea Tree Oil to 1 cup of water, then add this to the clothes in the washer. Do not add oil without diluting. NATURAL DISINFECTANT: Use this when you clean the tub or shower to discourage mold. Put in a labeled spray bottle. Shake before using. Spray and wipe.